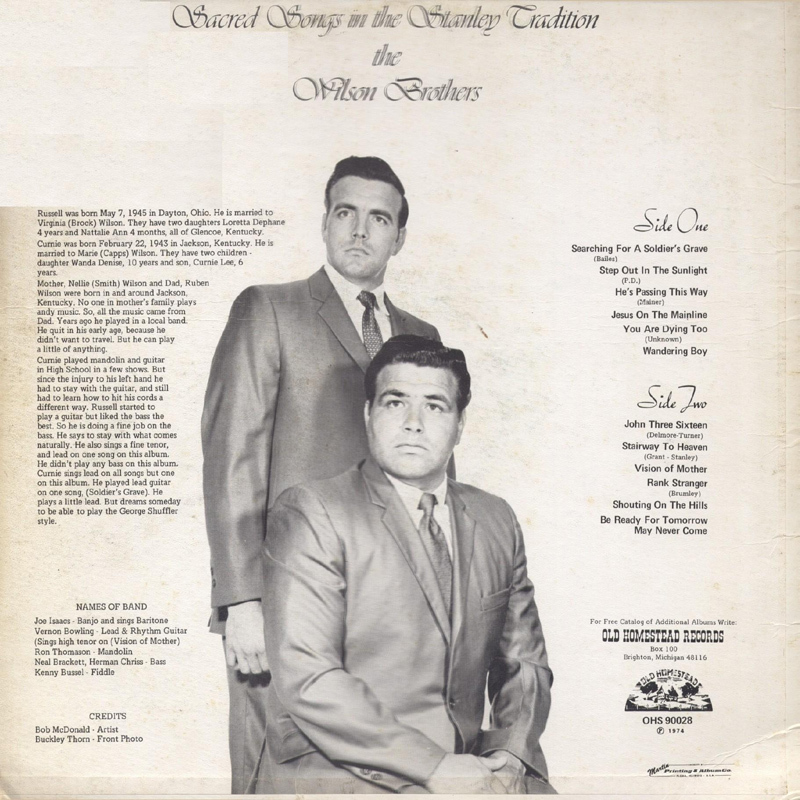 The Wilson Brothers merit a detailed article, but for the time being this album's title gives me an excuse to at least include them in this 'Tribute' section. A lot of people have commented on how uncannily close The Wilson Brothers come to sounding like The Stanleys, and they're certainly make for enjoyable listening... but to be fair the comparison doesn't stand up to more than a cursory listen. 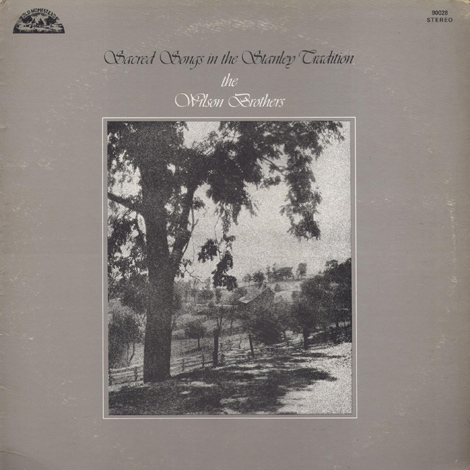 Still hard-core 'Stanley' fans will get a kick out of checking out their albums many of which can be found on the 'Bluegrass Music Spoken Here' blogsite. This album is also particularly noteworthy as it features Joe Isaacs on banjo and Ron Thomason on mandolin, both of whom played with Ralph. The Wilson Brothers got started in the music business when J.D. Jarvis invited them to step up to the pulpit and sing with him at a local church. J.D. recorded several Gospel albums and told an local newspaper interview that Ralph Stanley used to visit with him when he was on the road. Of J.D. 's many songs, Ralph recorded Take Your Shoes Off, Moses and Come On Little Children on his classic Cry From The Cross LP. The Wilson's spent some time playing with J.D. Jarvis and helped record some of his albums. It was also through him that Ralph first heard them sing at a church in Lawrenceberg, Indiana. Ralph then booked the brothers for his 'Hills Of Home' festival, where they appeared each year from 1978-84 and were included on the 1983 Live At The Old Home Place album. 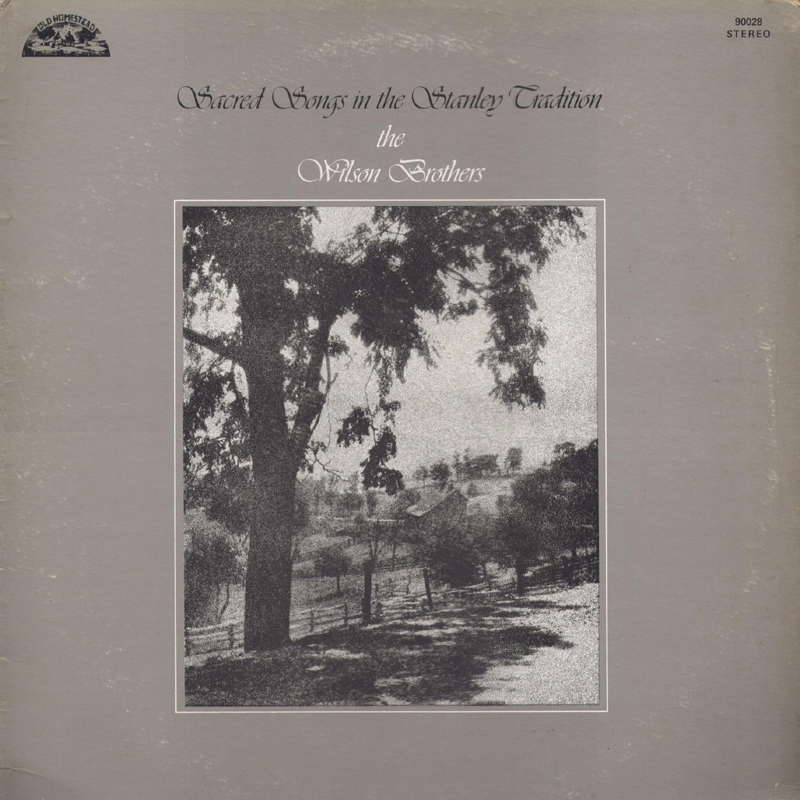 In total the Wilson Brothers recorded six albums: 'We�ll Work �til Jesus Comes' (Pine Tree) 1971 (reissued (Old Homestead OHS 70044 1981)); 'Sacred Songs In The Stanley Tradition'; 'Preach the Word' (with The Bluegrass Harvesters) (Old Homestead OHS-70016) 1977; 'My Ride is Coming' (Old Homestead OHS-70026) 1979; 'Lonesome Old Home' (Vetco LP-516) 1980 (Reissued on CD (Crosscut) 1999; and 'Time to Pray' (Vetco LP-523) 1984. The Brothers stopped performing in 1984, when Curnie became ill. Russell then became a long standing member of the Cumberland Highlanders TV show, and in 2001 appeared with Ralph (and Curnie) on the Cumberland Mountain Home CD, and made a reunion appearance at Ralph's festival. In 2003 Russell also had a CD featuring Sammy Adkins and The Sandy Hook Mountain Boys as back-up, 'Trooper Lee' (Crosscut). Sadly the same year, Russell had a stroke. He died in 2013.